20. 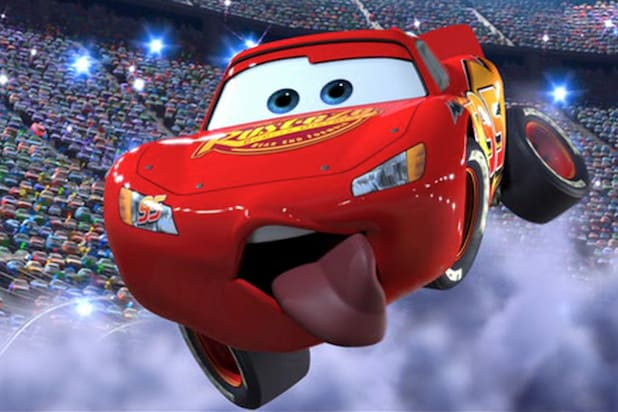 Cars 2 (2011) "They should let people see the movie for free," one pundit opined, "since Disney will make all their money back on the bedsheets." Some of Pixar's best movies are sequels, but this follow-up to an already inferior studio entry seemed like nothing but a craven bid for more merchandising money. The results were good for shareholders but middling for moviegoers. 19. Cars (2006) Never underestimate little boys and their love for automobiles. This brightly colored but dramatically flat tale is most enjoyed by a) male moviegoers who b) saw it before they turned 10 and c) have no idea that it tells virtually the same story as the Michael J. Fox comedy "Doc Hollywood." 18. "Cars 3" (2017) It's a movie about middle age and the fear of obsolescence -- you know, for kids! While Lightning (Owen Wilson) tries to soup himself up to take on young, faster rival Jackson Storm (Armie Hammer), the veteran racer mentors Cruz (Cristela Alonzo), a trainer who gave up her racing dreams. 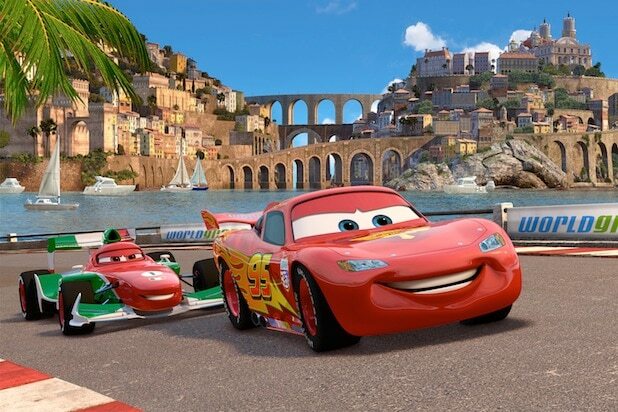 It's visually sumptuous and has a few good ideas, but the "Cars" series remains Pixar's blandest. 17. A Bug's Life (1998) Back in 1998, the second Pixar feature was racing to the big screen against the thematically similar "Antz." Neither has achieved iconic status, notwithstanding the "Bug's"-themed kiddie area of Disneyland. The film does provide memorable voice roles for "The Ref" co-stars Denis Leary (as a manly-man ladybug) and Kevin Spacey (scaring the little ones as an ant-exploiting grasshopper). 16. Monsters, Inc. (2001) The things that go bump in the night are just doing their jobs, collecting the screams of boys and girls to power their monstrous alternate dimension. Leave it to Pixar to turn childhood terror into something fuzzy and huggable while also sneaking in a metaphor about over-reliance on fossil fuels. 15. Monsters University (2013) This colorful prequel, featuring Mike (voiced by Billy Crystal) and Sully (John Goodman) as college freshmen, plays like a G-rated "Revenge of the Nerds," and that's mostly a good thing. Is this the first kids' movie to suggest that higher education isn't necessarily for everyone? 14. Up (2009) Like "WALL-E," this movie opens with a chunk of filmmaking perfection as we get to know the life, and losses, of our elderly hero. But while there's nowhere for his balloon-festooned house to go but up, there's nowhere for the movie to go but down after such an auspicious beginning. 13. Ratatouille (2007) Follow your bliss, says this entry, even if you're a sewer rat who wants to be a gourmet chef. It's lovely, and its ending will be forever cited by critics of every medium, but some screenwriting contrivances make it good-but-not-great Pixar. 12. The Good Dinosaur (2015) Frightened, awkward dino Arlo (Raymond Ochoa) travels home through a savage landscape with the helpful accompaniment of a feral boy named Spot (Jack Bright), who generally behaves like a dog, in a movie where the stakes are slighter but the character bonds are nonetheless rich. 11. WALL-E (2008) The first half or so of this ecological fable -- a silent comedy about the titular robot tidying up an abandoned earth and longing for love -- is Pixar's greatest achievement. Unfortunately, it gets dragged down by a lot of loud chasing in the second half. 10. Brave (2012) Despite a rough production, this saga offers us Merida, one of U.S. animation's most self-assured characters, who refuses to be married off by her father as though she were your run-of-the-mill princess. Merida's skill with a bow and arrow made archery look even more appealing than Jennifer Lawrence does in the "Hunger Games" movies. 9. "Finding Dory" (2016) What this follow-up lacks in The Feels, it more than makes up for with The Laughs and The Thrills. Ellen DeGeneres returns as the famously forgetful fish who sets off to find the family she forgot she had. Witty, bright, and exciting, even if that tissue in your pocket winds up going unused. 8. Inside Out (2015) An 11-year-old girl's brain becomes the backdrop for another hair-raising adventure, as her emotions fight to find balance during a rough patch in her life. No shortage of jokes and excitement, and early screenings have seen crusty film critics openly weeping in their seats. 7. Coco (2017) The Mexican Day of the Dead celebration brings a young boy face-to-face with his ancestors, teaching him the importance of family and allowing him to settle a generations-old misunderstanding. Colorful, poignant, and loaded with great songs and cultural specificity. 6. Incredibles 2 (2018) Picking up right where the excellent original leaves off, this boisterous sequel sees the super-powered Parrs still dealing with the outlaw status of costumed heroes while Mr. Incredible (Craig T. Nelson) becomes a stay-at-home dad as Elastigirl (Holly Hunter) shoulders most of the derring-do. And villain Screenslaver is a perfect commentary both for the film's 1960s aesthetic and for the internet age. 5. Toy Story (1995) The one that started it all and kick-started a whole new way of making cartoons. 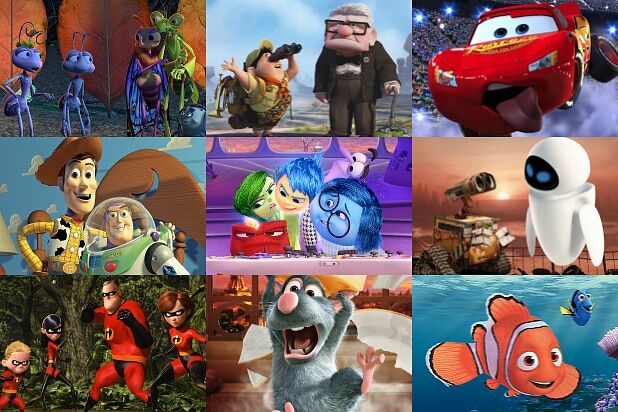 Its characters became instant icons while its gleaming surfaces changed animation more than any other single movie since "Snow White and the Seven Dwarfs." 4. Finding Nemo (2003) Albert Brooks and Ellen DeGeneres have the precision timing of a vaudeville comedy duo as two tiny fish who brave the big, wide ocean to rescue a missing youngster. This parable about the push and pull of parent-child dependency offers some of Pixar's finest blending of adventure and comedy. 3. Toy Story 2 (1999) Wherein we learn that toys need to be taken out of their mint packaging and loved if they're to be truly happy. And that a Sarah McLachlan song about a doll who misses being cared for by her owner can reduce grown men to sobbing. 2. The Incredibles (2004) Probably the greatest superhero movie ever made that's not based on pre-existing characters from another medium, and better than almost every other superhero movie, period. Brad Bird's attention to character detail and freedom with gravity would serve him well later as the director of the live-action film "Mission: Impossible - Ghost Protocol." 1. Toy Story 3 (2010) Andy goes off to college and must leave childhood, and its playthings, behind. An exciting and funny meditation on death and growing up and I'm going to need a handkerchief now.